4 Strictly-Implemented HSE Forklift Truck Regulations in the UK - Be Certified Today! The Health and Safety Executive (HSE) is the national governing organization for health and safety of the workers in Great Britain. They have one primary objective to reduce the number of fatal accidents and work-related injuries. Forklifts usually weigh more than double your average car and they carry heavy loads up high. These machines are usually operated in confined areas close to people and structures. Because of these characteristics, forklift-related accidents are a common occurrence in a workplace that utilized this machine. There are HSE forklift truck regulations in place to mitigate accidents. There are 4 regulations governing the safe use and operation of the forklifts in the UK. Employer’s Duty for the Operation of the Forklift in the Workplace - Section 2 (2)(a) of the Health and Safety at Work Etc. Act 1974 requires the provision and maintenance of plant and systems of work that are, so far as is reasonably practicable, safe and without risks to health. Forklift Driver Training - Section 2(2)c) of the Health & Safety at Work etc. Act 1974 requires the provision of such information, instruction, training, and supervisions as is necessary to ensure, so far as is reasonably practicable, the health and safety at work of his employees. To know more about the details of this HSW Act, click here. Also known as L117. This is the third edition of the guidance publication on the use forklift truck in the workplace and it is revised in 2013. This revised edition of the guidelines is intended for the employers and operators and for responsible for the safe operation of the truck as well for those who manage the workplace (supervisors, managers, etc). The L117 summarizes the legal requirements for the operation of the forklifts, the ACOP, and guidelines in the training for stacking rider-operated lifts, it also contains the HSG6 Safety in working with forklifts, the recommended safe use of the forklift trucks and protection of pedestrian and maintenance and proper examination of the truck are also included in this edition of L117. For more information about it, click here. This specific regulation deals with the use of the equipment and other machinery such forklift truck in the workplace and intended to safeguard the protection of the workers whenever forklift is used at work. This regulation is aimed at ensuring that the forklift is suitable for its intended use, that the forklift is regularly inspected and maintained to ensure its safe operation, that the forklift operator has the proper and adequate training, and that forklift truck is inspected by a competent individual. This regulation does not only apply to large businesses but also if you are self-employed operating forklift trucks you have to comply with this PUWER 98. Offshore rigs and platforms are also covered by this regulation. For more information about PUWER 98, click here. This specific regulation’s aim is to mitigate the risks to the workers associated with the use of the lifting equipment such as forklift truck. The definition of lifting equipment is the “work equipment used at work for lifting and lowering loads and includes attachments used for anchoring, fixing or supporting the load.” That includes forklift trucks. When you have an owned, borrowed, hired; whether the lifting equipment is old or new, this regulation applies. For more information and details about LOLER 1998, click here. Why Are These HSE Regulations In Place? Forklift trucks are common equipment in the many workplaces used for transporting heavy materials and goods. Because of it being an ordinary piece of machinery used in everyday tasks, the accidents involving forklift trucks are common. As a matter of fact, among all of the reported workplace transport accidents in the UK involved forklift trucks. Such accidents can cause incapacitating injuries and even deaths and it can cause severe consequence for the employers. And even it doesn’t cause injury; it can cause damage to the goods, structures and to other vehicles as well. This is the main reason why the HSE forklift truck regulations exist. It doesn’t make your life difficult, but it protects you and your business. Regulatory compliance is important for both workers and employers to mitigate the dangers and risks posed by the forklifts in the workplace. It is the company’s responsibility to make sure that they and their workers are working together to comply with the existing laws. Aside from the regular training the company provides to the operators, they can create a team of safety professional in charge of activities such as regular training provision, setting up of internal safety procedures, and internal audits. The bottom line of this is conforming to the existing and relevant laws governing the health and safety of the workers. Due to the increasing number of workplace accidents, these HSE regulations must be enforced and fulfilled. Forklift trucks are some of the heavy equipment that poses danger in the workplace such as construction sites, factories, warehouses, docks, and ports. The danger associated with the use of forklifts is often neglected. Both the operators and employers become lax with the operation of it. 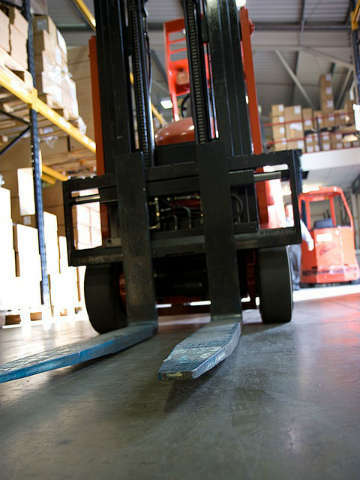 Accidents involving forklift are often severe and fatal. The obligation of the owner of the business doesn’t end in the provision of forklift training to their operators; other necessary regulations have to comply with as well. There are HSE forklift truck regulations in place that must be followed. There’s no reason for you not to comply whether you’re an operator or the employer.